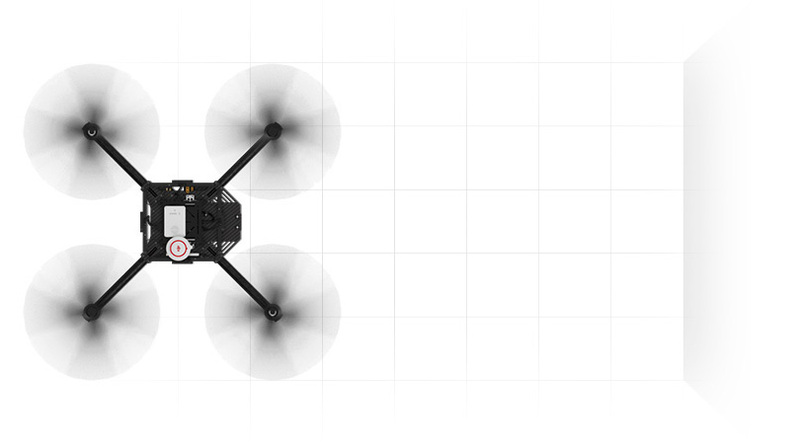 Even without GPS, achieve hovering that is accurate to within centimeters. Even when flying at high speeds, high-precision stereo algorithms provide positioning information over nearly any terrain. Guidance’s vision positioning system is effective at altitudes of up to 65 feet (20 meters). Guidance is fully compatible with the DJI SDK and supports multiple interfaces for easy data export. Developers are free to create customized applications and expand the use of Guidance’s visual and ultrasonic sensors to suit any need. Guidance is fully compatible with the DJI Matrice 100 flight platform. Export velocity data, obstacle distance data, IMU data, ultrasonic data, grey-scale images, and depth images. Export velocity data, obstacle distance data, IMU data, and ultrasonic data. Support for aircraft velocity information output. Support for obstacle distance data output from all five sensors. Support for IMU data output, including acceleration, attitude data, etc. Support for ultrasonic data output from all five sensors. Support for grey-scale image output from all five sensors. Support for dense depth image output from all five sensors.